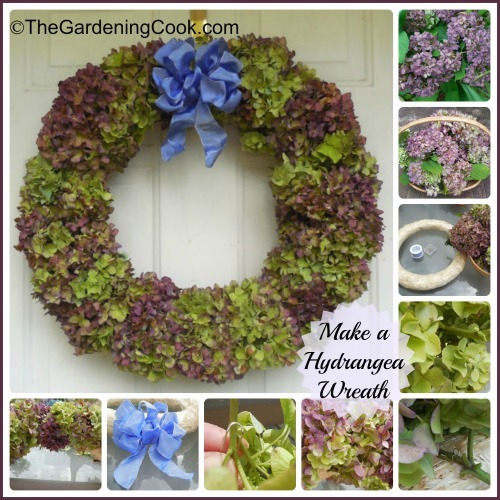 Making hydrangea wreaths is a very easy project and costs so much less than a store bought wreath. 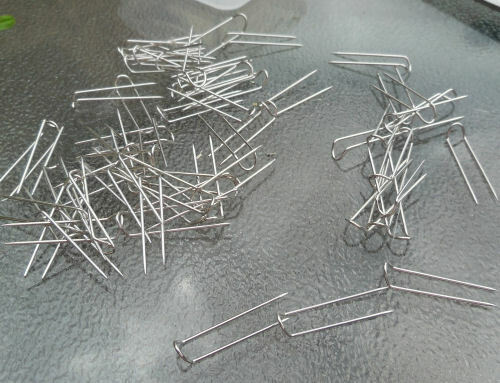 Mine cost $6.99 and about an hour of my time, and I’ll be able to use the straw ring for another project later. 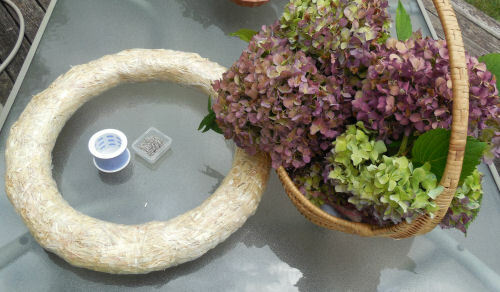 Last year I showed you how to make hydrangea wreaths in this article. For those who have not seen it, there is a video from Fine Gardening that is fun to watch. My hydrangea flowers were a different color this year. Last year they were pinkish and ended up sort of a purple color when they dried. 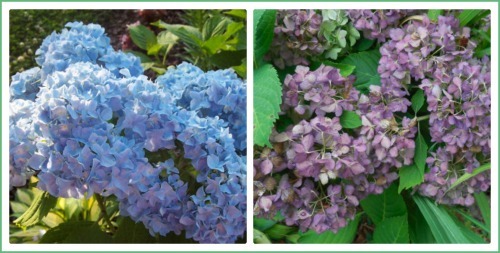 This year my bushes had bright blue flowers that ended up aging to a purple and pale green color. Nature is so amazing! The trick on making hydrangea bushes is timing. If you pick them too soon, they will just wither, but if you wait until a hard frost, it will kill them. I pick mine when the temps get cooler and the color has started to change. Mine were a mix of burgundy and pale green. Hydrangea flowers make great wreaths because they dry so beautifully and don’t wilt when displayed like other flowers might. 1. 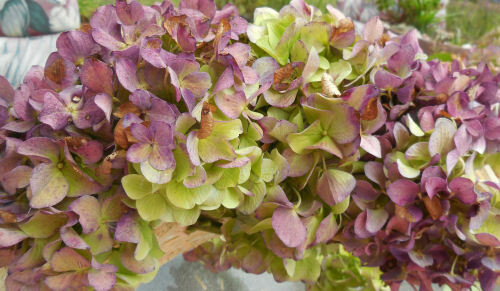 You will need a lot of hydrangea flowers to cover a wreath about 14 -16 inches. I filled this basket and had to go back for a few more. 3. 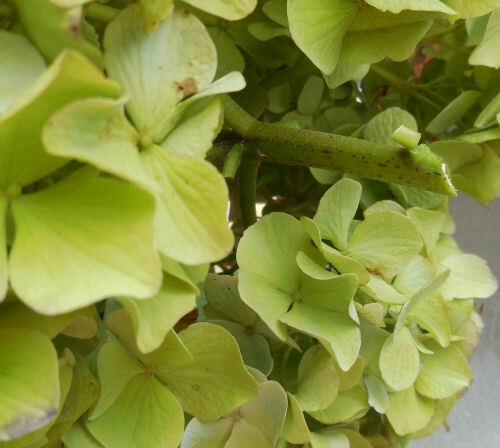 You will need to trim your stems to about 1 inch long and remove the leaves. 4. 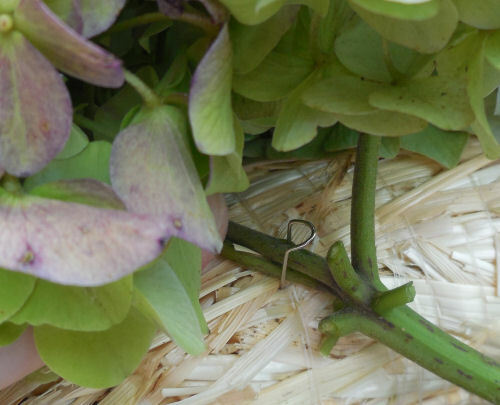 Floral pins will be holding your hydrangea branches in place on the straw ring. 5. 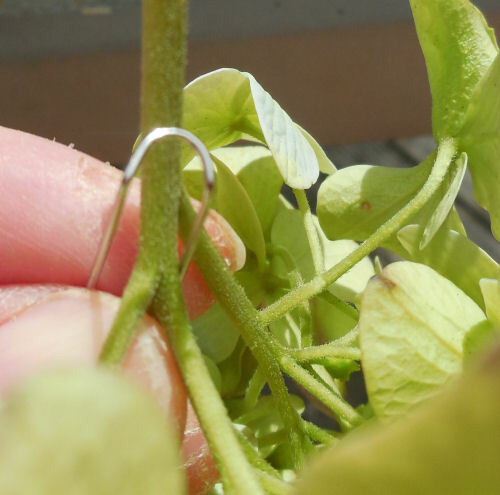 Insert the pins over the stem above a leaf node and insert it into the straw ring. 6. Close up of my colors. I pinned some burgundy and then some green for variety. 7. Close up of where to place the floral pin. 8. Alternate your colors for a variegated look. 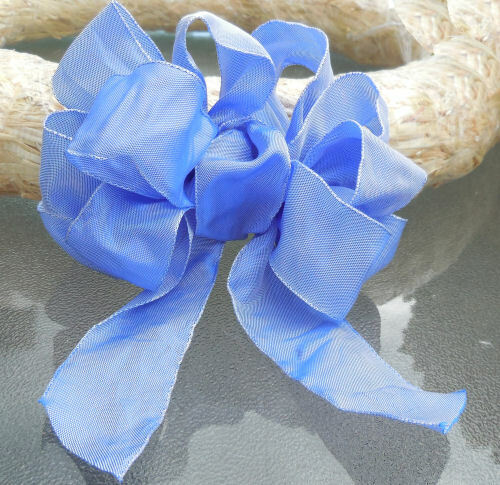 Continue doing this all round the straw wreath ring. When you get to the bottom middle…add some extras to cover the straw. Do the same on the right side back so the straw will now show when you open your door. 10. 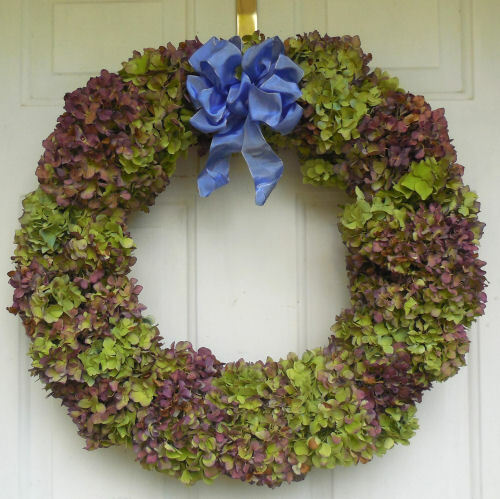 Hang your hydrangea wreath on your front door for a lovely autumn greeting for your guests. Have you made wreaths using flowers from your garden? What was your experience? Love the easy directions. They are drying in my shed. Is there something I should spray on it to kill bugs and preserve? Hi Patrice. I didn’t add anything to mine. The wreath was quite blue when I made it and it just dried naturally into a lovely golden color from hanging on the front door. It lasted several months. My hydrangeas are beginning to bloom right now (May 18th) but several have just peeked out the first green sign of a bloom. 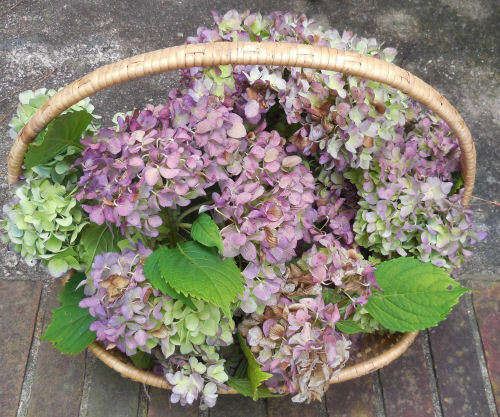 My daughter is having a fall wedding reception (Sept 2) and I was wondering when would be the best time to cut the hydrangeas to begin the drying process. We live in Alabama and When June hits it will be getting much hotter and we get even hotter through Aug. I really wanted to make this a success! !